This is so awesome! 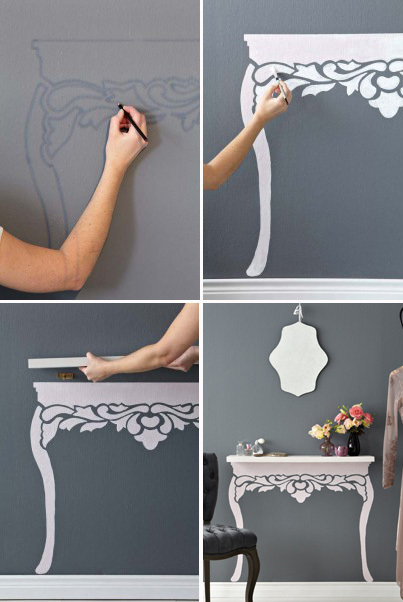 Dress up a floating shelf. An ordinary floating shelf transformed into an elegant Antique-style table with a little bit of clever paintwork. I think it’s perfect for a small entry. IKEA has good floating shelves. If you aren’t so good artist you can buy a Vinyl Decal. You can find info on how to make it on ideas mag.